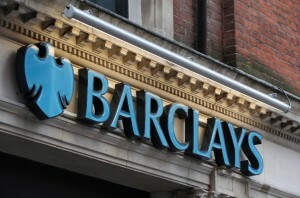 A new Barclays report said Indian bonds could be poised for a rally after the recent sell-off. “We think current bond yields are pricing in excessive cautiousness (10-year yield at policy rate plus 44 basis points), and we see the recent sell-off as an opportunity to buy, targeting 7.40 per cent during H1 of FY14,” the report said. In bonds, when price of the instrument goes up, yield goes down and vice versa. The 10-year benchmark yield closed at 7.99 per cent on Tuesday, which had fallen to 7.80 per cent in the last week of February in the hope of a rate cut by the RBI on March 19. Referring to rise in bond yield after the Reserve Bank of India mid-term policy review, wherein it had cut repo rate by an expected 25 bps, the report said the market interpretation of the RBI statement as hawkish with concerns raised on the resumption of bond supplies in April, are overdone. “We think both the concerns are overdone. We read the policy statement as balanced, and in an environment of weak growth and softer core inflation, we expect the RBI to eventually lower the repo rate by another 50 bps by mid-2013,” the report said, adding despite resumption of bond issuances in April, there will be enough demand to match supply. In another major reforms push, the Indian finance minister had announced further liberalisation of Foreign Institutional Investment (FII) norms last week.